The FSU Foundation is seeking a student to design greeting cards for donors in our recognition societies. The Donor Relations & Stewardship team at the FSU Foundation mail holiday cards and birthday cards to donors in the Presidents Club, Vires, Artes, Mores, and Westcott Society. Donors want nothing more than to see their dollars at work. Providing the opportunity for students to showcase their design and art talent through donor-related collateral is one way we can accomplish this. 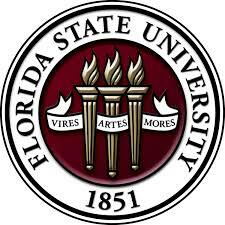 All cards should incorporate Florida State University – whether in color, images of buildings, landscape, etc. Please note that these donors do not support athletics, therefore use of athletic related imagery is not advised. Submissions must be sent to Emily Fulton at efulton@foundation.fsu.edu by Friday, October 19. The winner will receive an award for their work. If you have any questions, please contact Emily Fulton at efulton@foundation.fsu.edu or (850) 644-0762.